Kimchi, bibimbap and bulgogi. A number of mixed notions come to mind when hearing the above-mentioned dishes. Patbingsu is arguably one of Korea’s most well-known desserts. But at the same time, one cannot deny the boredom that comes from seeing these same dishes over and over like a set menu in many of the promotional projects globalizing Korean food. While these missions have been mostly successful, experts and industry insiders say they have reached their limits in spreading these dishes further on the global stage. Instead, another culinary boom is expected to elevate the status of Korean cuisine to another level. The stars of the newest trend are not exactly traditional, nor do they represent the prestigious food culture of Korea. In fact, they have their roots in foreign countries and come at a much lower price tag. However, with the an authentic twist added from long years of development in Korea, these dishes are showing the world what Korean cuisine has to offer beyond kimchi and bulgogi. When one searches online for “Korean dessert,” the shaved ice with red bean paste or other sweet toppings comes up high on the list of results. Grinding ice and enjoying it with various sweet toppings is said to have originated in China in 3000 B.C. and then spread to other Asian countries and adapted to local tastes. The Philippine version is called halo-halo, while the Taiwanese enjoy baobing. The shaved ice dessert pervasive in Korea, with red bean paste on top, is said to have been strongly influenced by the Japanese, and historical records show the treat was first introduced during the colonial era. 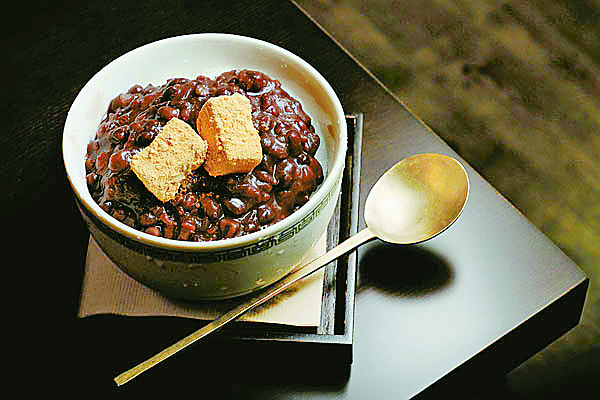 However, the red bean paste topping isn’t all there is to Korean patbingsu. Endless variation is possible, leading to what is called bingsu syndrome in and outside of Korea.High-end versions involve luxurious toppings of expensive fruits such as mango and ripe persimmon. Other unique options are milk tea bingsu, where shaved ice is soaked in milk tea and topped with milk tea flavored ice cream. There is also chocolate bingsu, in which chocolate milk is frozen and shaved before being topped with ice cream and crushed cookies. Hotteok, which is commonly described as pancakes filled with brown sugar, cinnamon and nuts, is one of the most beloved wintertime snacks in Korea. It is one of the few remaining old-time snacks that is still popular among the young generation, while also evoking childhood memories for older people when they see street vendors frying hotteok on a sizzling pan from the back of a trucks. However, hotteok is actually known to have originated in China. The original version is a lot different from what’s now popular in Korea, sometimes filled with vegetables and meat or sometimes just air. Unlike their soft Korean counterparts, the Chinese versions have hard shells, with a texture resembling that of a cracker. In recent years, this street food has been gaining popularity in the overseas market and has transformed in various ways. At the Momojein, a Korean restaurant that recently opened in Hong Kong, hotteok is served as both an appetizer and a dessert. 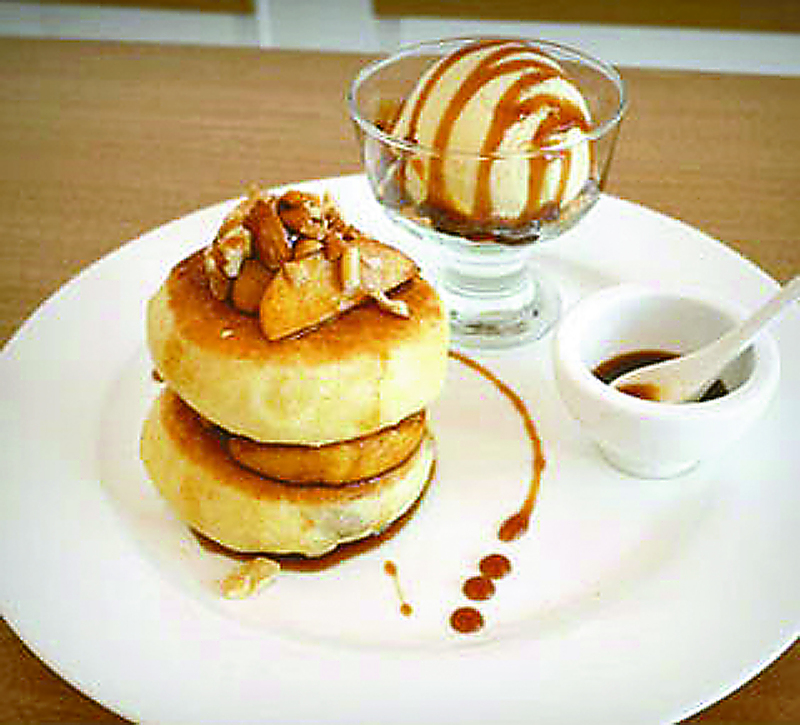 For the galbihotteok, the restaurant’s chefs – including Korean celebrity chef Lim Hee-won – replaced the traditional sweet filling with succulent beef. For dessert, hotteok is introduced in its the original form, and paired with a scoop of vanilla ice cream.And at New York-based eatery Mokbar, hotteok transforms into an appetizer filled with pork.